Delivering a message on behalf of Los Angeles County’s youngest constituents – some who have yet to develop words of their own – First 5 LA leaders and policy staff journeyed to Sacramento and Washington, D.C. in April to urge lawmakers to prioritize young children in policy decisions and advocate for early care and education, home visiting, developmental screening and other policies to ensure that children get the best start in life. First 5 LA Executive Director Kim Belshé, Commissioners Duane Dennis and Marlene Zepeda and Policy and Intergovernmental Affairs Director Peter Barth were among those in two separate delegations that traveled to the state and nation’s capitols, combining their message with other First 5s and the Los Angeles Area Chamber of Commerce. Occurring during the same month as the First 5 LA Commission approved the agency’s State Legislative Agenda, these visits provided the opportunity to spread the word about First LA’s priority initiatives such as Welcome Baby, Home Visiting, Developmental Screening, Trauma-Informed Care, Best Start and Early Care and Education (ECE). “These legislative visits represent one part of First 5 LA’s overall policy and advocacy efforts which, under First 5 LA’s 2015-2020 Strategic Plan, play a more important role as the agency shifts from a focus on direct services to a greater emphasis on sustainability, policy and systems change,” Barth said. As part of First 5 Association of California’s Advocacy Day, First 5 LA in early April joined delegations from 28 counties that conducted a total of 83 legislative meetings with Assembly Members, Senators and their staff, sharing stories and statistics on policy priorities ranging from home visits to early care and education, family strengthening to oral health. In Sacramento, Barth, Belshé, Dennis and Zepeda met with the following elected officials or their staff: Assemblymember Patrick O’Donnell (D-Long Beach), Assemblymember Sebastian Ridley-Thomas (D-Los Angeles), Assemblymember Cristina Garcia, (D-Bell Gardens), Assemblymember Patty López (D-San Fernando), State Senator Robert M. Hertzberg (D-Van Nuys) and various staff members for Gov. Brown. This was the third Advocacy Day held by the Association. For some attendees like First 5 LA Commissioner Zepeda, it was their first trip to the state capitol representing their county’s First 5. When the doors opened to legislator’s offices, she was ready to talk about early education, particularly The Quality Early Education and Development Act of 2016 (AB2660) by Kevin McCarty (D-Sacramento), which would provide access to a minimum of one year of a high quality early childhood education program for all low-income children. “I’m very interested in this bill because in the district I represent in L.A., we don’t have enough preschool access or quality to meet the needs of these children,” Zepeda said. Indeed, despite a budget surplus, state spending on early education has not returned to levels before the great recession that began in 2008. For the next five years, California cut early education funding alone by $984 million and eliminated 110,000 child care and preschool slots, according to a March report by the American Institutes of Research. 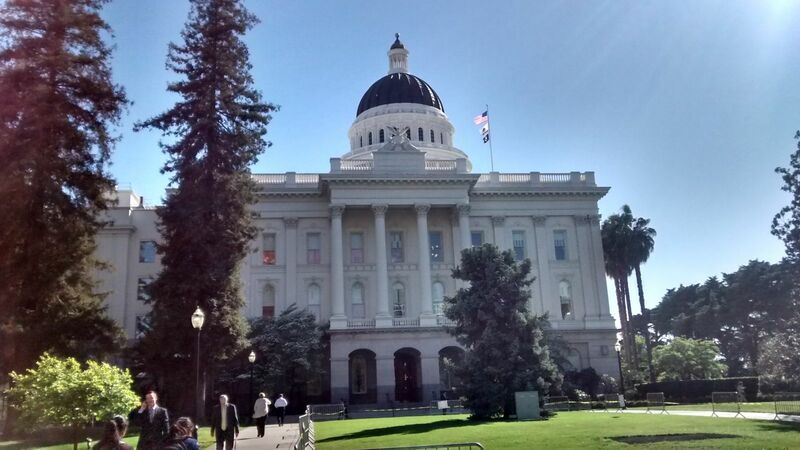 Yet the biggest challenge, Barth said, is that the realities that come with legislative office – either in Sacramento or D.C. – means that elected officials can only focus on one to two issues at a time. Another challenge is educating legislators and their staff about the importance of First 5 LA’s initiatives and legislative priorities. In one meeting with Nardos Girma, a legislative staffer with Assemblymember Richard Bloom (D-Santa Monica), Girma asked about one of First 5 LA’s health priorities: developmental screening. “Why so low?” Girma asked. 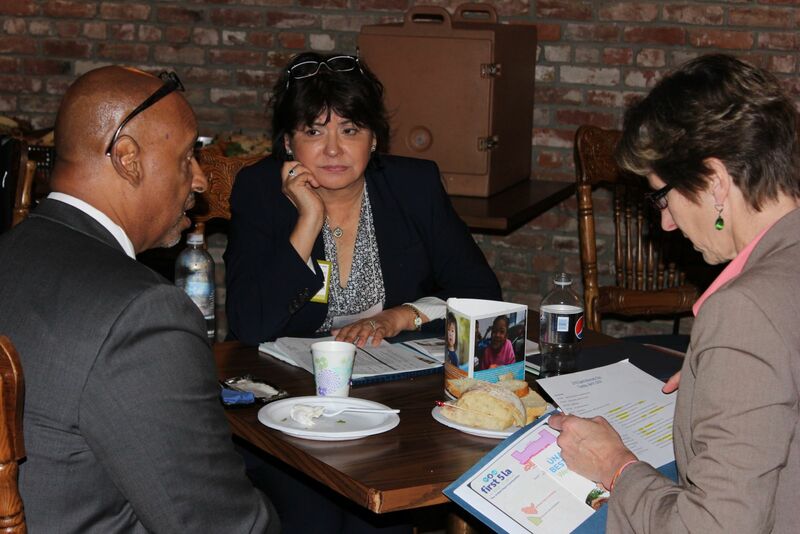 The meetings also provided an opportunity to connect First 5 LA’s priorities – and resources - with a legislator’s own agenda. Bloom has authored legislation to fund public health programs across the state to fight obesity, diabetes and dental disease. 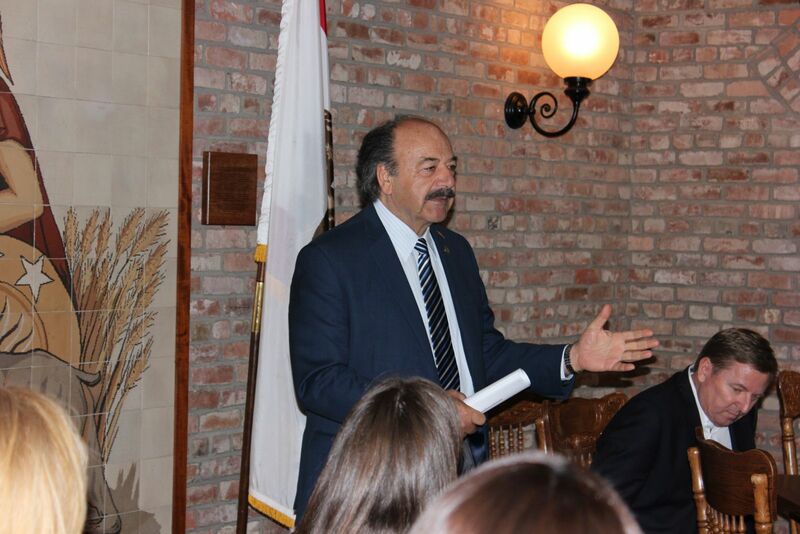 During a lunchtime gathering, Assemblymember Katcho Achadjian (R–San Luis Obispo), the founding chair of First 5 San Luis Obispo, applauded the delegations for their efforts. Indeed, with Proposition 10 revenue declining statewide by more than 30 percent since the year 2000 due to fewer people smoking, encouraging lawmakers to reinvest in the first 5 years is more critical than ever. First 5 LA, like all First 5’s in California, receives its funding from Proposition 10, which garners tobacco tax revenues. Since 1998, First 5 LA’s allocation from Proposition 10 revenues has dropped by 50 percent. As the largest commission in the state, First 5 LA plays a “critical” role to further the policy and advocacy efforts of First 5s and the First 5 Association, said Moira Kenney, Executive Director, First 5 Association of California. “Over the last year, as First 5 LA has focused its capacity in a few significant policy areas - investments in quality early learning, MediCal access, and early intervention systems improvements - the collective voice for young children and their families has grown stronger and increasingly relevant for both legislators and other early childhood champions,” Kenney said. Familiarity with First 5 LA’s initiatives and policy priorities could be found throughout the Capitol hallways in Sacramento. During another legislative visit, Kristi Lopez, the legislative director for Assemblymember Patty Lopez (D-San Fernando), asked about home visiting and high quality child care. A similar opportunity for collaboration took place at a meeting with Assemblymember Ridley-Thomas, Dennis said. After the day was done, Belshé pointed out the positives of partnering with others to deliver a unified message in Sacramento. Organized by the Los Angeles Area Chamber of Commerce, the 3-day visit in late April brought together 150 business, civic and elected leaders from Los Angeles to meet with like-minded advocates and Washington lawmakers on a number of issues, including early education and developing a 21st century workforce with a cradle to career approach. The First 5 LA delegation included Belshé, Barth and Government Affairs Manager Tessa Charnofsky. At the opening reception, Belshé introduced L.A. Mayor Eric Garcetti, who later commented that “First 5 LA is leading the nation” in advancing early childhood issues. In addition, First 5 LA met with a series of national funders, policy organizations, and advocates focused on early childhood and family issues including the First Five Years Fund, First Focus, and ZERO To THREE. Beyond legislative visits, much of First 5 LA’s advocacy and policy strategy incorporates the creation of the aforementioned annual Legislative Agenda and Policy priorities; developing alliances with other child advocates who share common policy and systems change priorities; and engaging public strategy firms in Sacramento and in Washington, D.C. to advocate on behalf of First 5 LA’s policy priorities. The state legislative agenda, brought to and approved by the First 5 LA Commission in the spring of each year, provides a focus for the agency to engage in advocacy activities related to First 5 LA policy priorities during the state legislative and budget seasons. These priorities are based on four outcome areas identified by First 5 LA where the agency can contribute to efforts toward achieving large scale and lasting improvements for children prenatal to 5 in L.A. County: families, communities, early care and education systems and health-related systems. First 5 LA creates a legislative agenda to advance priorities related to these outcome areas, including quality early learning and child care, developmental screening, trauma-informed care, and home visiting. The agenda lists the legislation supported and being tracked by First 5 LA, including sponsors, status and fiscal analysis. Often included are bills that directly affect First 5 LA, such as tobacco taxes, bills or proposals affecting Proposition 10. First 5 LA also monitors other bills for potential action in the coming months. See a full list of bills supported here. Read more about these policy priorities here. Focusing its advocacy activities through the lens of its legislative agenda and policy priorities, First 5 LA pens letters of support to lawmakers, provides testimony at legislative hearings and educates the general public and elected officials about the importance of these priorities to the health, well-being and early care and education of children prenatal to 5. First 5 LA also invites policymakers to visit Welcome Baby hospitals, participate in Best Start Community Partnership meetings and attend First 5 LA-sponsored events. Like its alliances with other First 5s and the L.A. Area Chamber of Commerce, First 5 LA has also worked to collaborate with other partners to advocate for systems and policy change, including penning a recent Op-Ed with The California Endowment that ran in several newspapers and co-sponsoring a convening on the importance of Trauma-Informed Care, as well as development of a uniform Quality Rating and Improvement System (QRIS) for care centers and Kindergarten Readiness Assessment (KRA) for early educators in L.A. County. One of those partners is Children Now, which releases the annual California Children’s Report Card and has worked with First 5 LA on both KRA and early education issues regionally and statewide. First 5 LA has also joined forces with Children Now in the Early Childhood Education Coalition, an influential group of 10 statewide and regional early childhood education advocacy and policy organizations that support investments in quality Early Care and Education (ECE) programs for our state’s youngest children. Click here for a recent joint sign on letter on childhood issues. 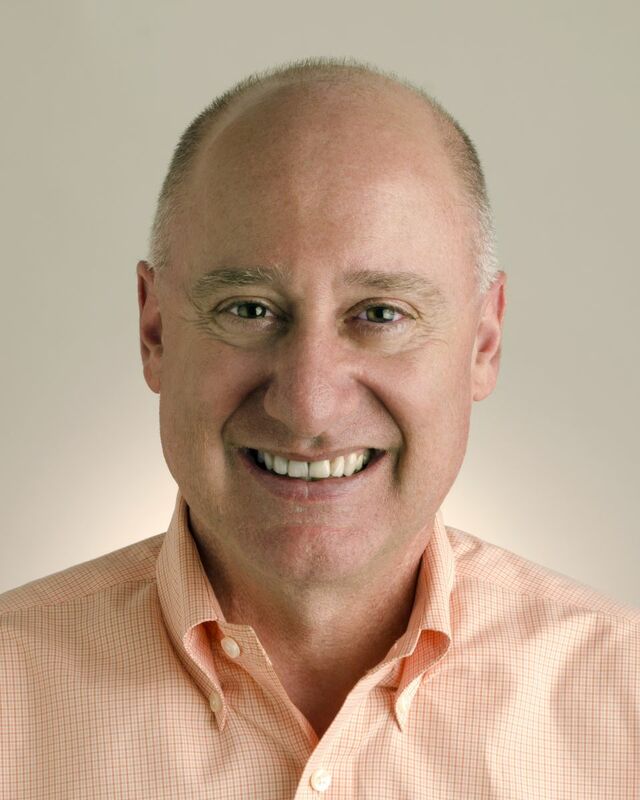 Finally, recognizing the need for an expert presence capable of opening doors in the somewhat cloistered capitals on both ends of the nation, First 5 LA engaged the services of two public strategy firms, or advocates: California Strategies in Sacramento (jointly with the First 5 Association) and The Raben Group in Washington, D.C. 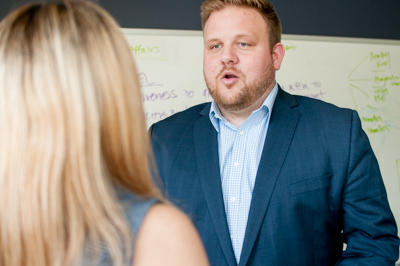 These capital-based advocates build-long term relationships with legislators, expand partnerships with like-minded stakeholders, provide rapid-response updates on legislative measures, draft legislative analysis, arrange legislative visits and advocate directly for First 5 LA’s legislative agenda and policy priorities. Gov. Brown signed AB 211 in May by Assemblymember Adrin Nazarian (D-Van Nuys), raising tobacco licensing fees and creating an ongoing licensing program to ensure all Board of Equalization (BOE) tobacco administration costs are covered by fees. Previously, the BOE was taking money from tobacco tax revenue accounts including Proposition 10 to pay for administrative costs. This bill will allow approximately $4.6M to remain within the Proposition 10 fund every year moving forward, a net positive revenue impact for First 5 Commissions. The Assembly Budget Subcommittee just approved redirection of BOE fund balances to pay for the tobacco licensing program until the new fee structure can be implemented, preventing further redirection of Proposition 10 funds from First 5 Commissions. First 5 LA is actively supporting this proposal with the hope it will be included in the final 2016-17 budget. Gov. Brown and state lawmakers signed a budget agreement in June, 2015 that commits an additional $329 million to expand access to and improve the quality of health and early care and education for young children. This followed an urgent call to action to California legislators by First 5 LA and the Early Childhood Education Coalition, which expressed disappointment over the governor’s earlier proposal for a minimal increase in these investments. Federal Child Care and Development Block Grant (CCDG) funding increased $326 million from Fiscal Year 2015. First 5 LA and Raben Group drafted and disseminated an ECE Coalition letter to Congress on the need to increase CCDG funding, a model of which was used by other states. What are the future outcomes for First 5 LA’s policy and advocacy efforts? Time will tell. As First 5 LA Commissioner Dennis put it during the Sacramento legislative visit, Advocacy Day is just one day of the year.